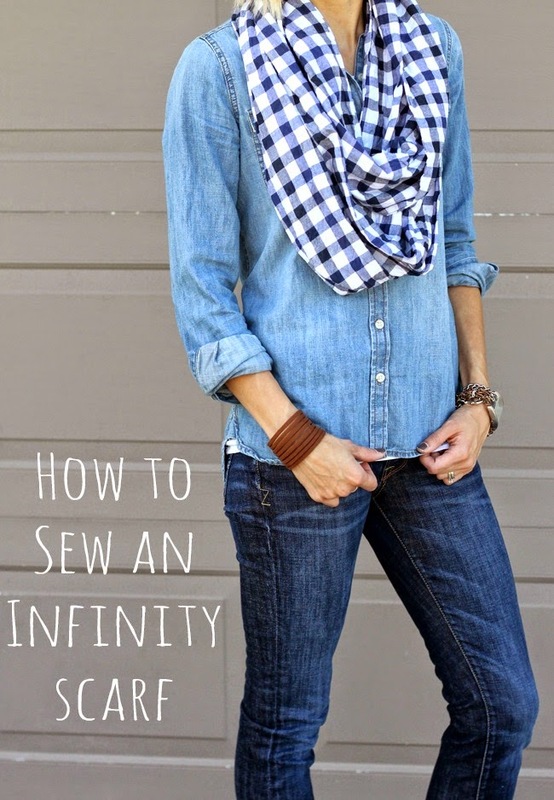 To sew this infinity scarf, you will need about 2 2/3 yards of fabric (This will make two scarves). 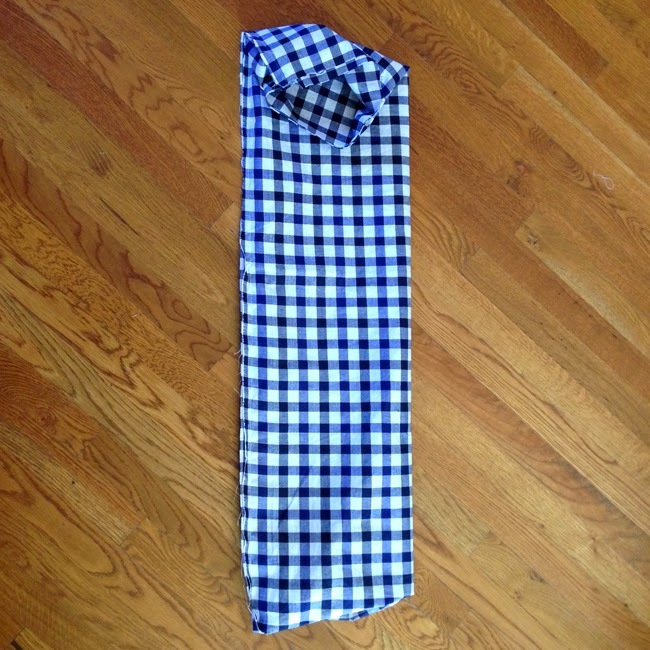 You can use 1 1/3 yards to make just one scarf, but you will need to add an extra step. 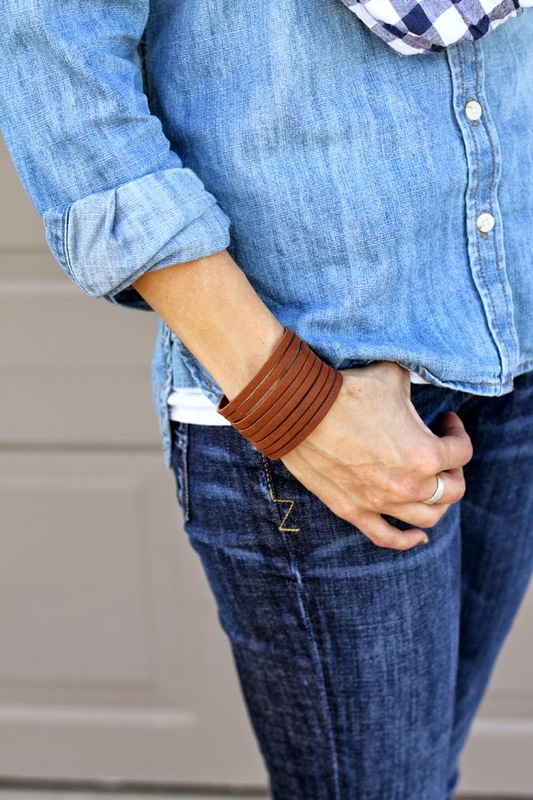 You can use a soft cotton, knit, or something fancier - I just used a basic cotton. Pre-wash the fabric and, depending on what it is made of, iron it. My cotton required ironing. 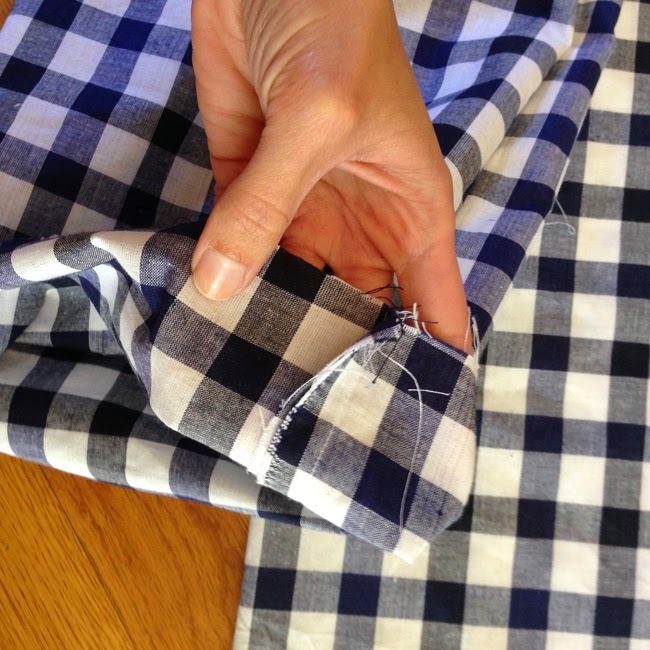 You'll also need matching thread and a sewing machine. 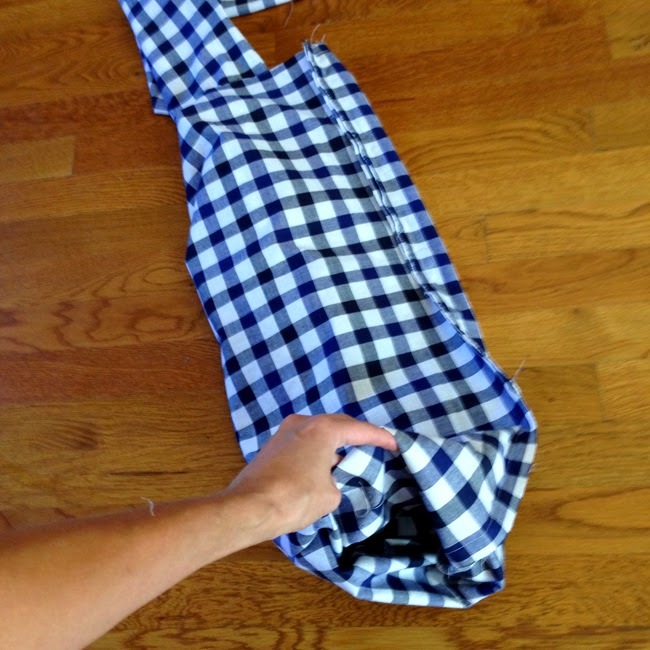 Cut your fabric to 80"x 22". (If you only bought 1 1/3 yards, this is where your extra step comes in. 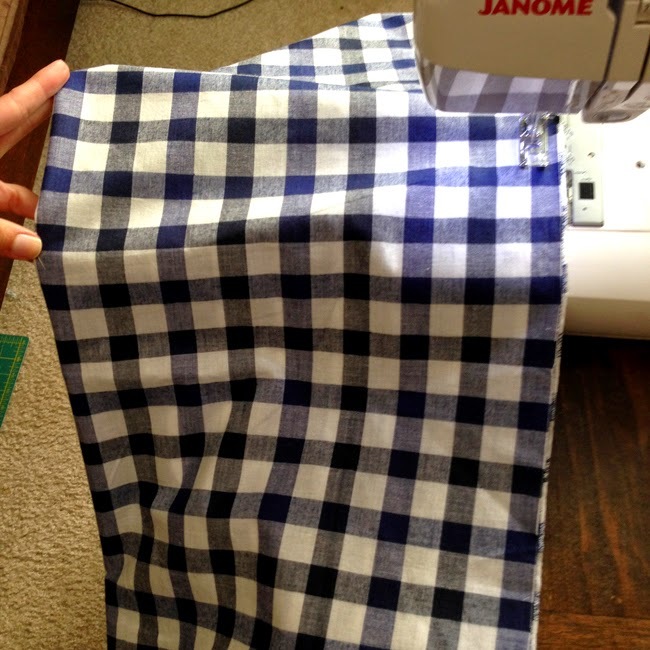 Cut two pieces 40"x22" and sew them together to create a piece that is 80"x 22".) 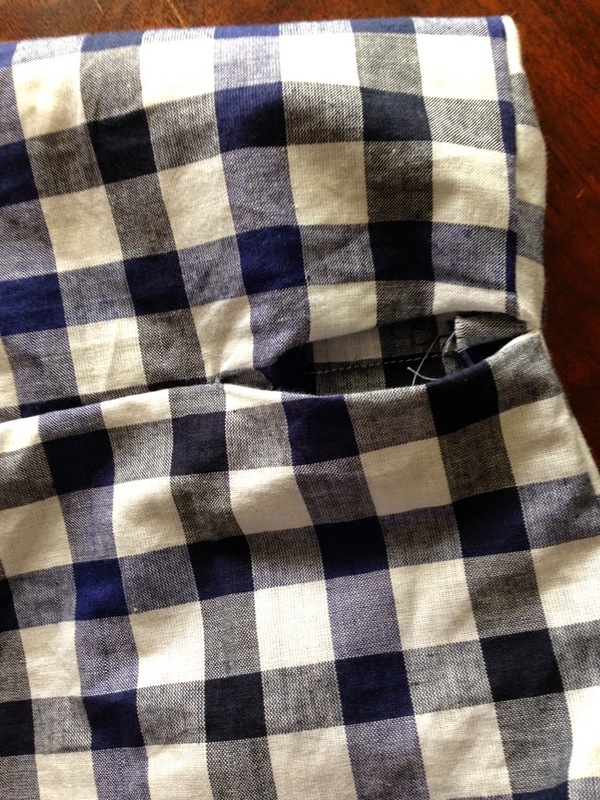 Then fold it lengthwise with the wrong sides together so you have a long folded tube. First you will sew a straight stitch down the long opening of the tube - the whole 80". You can use about .5 seam allowance. Once you have your tube sewn, you'll turn it right side out. Now the seam that you sewed will be on the inside of the tube. Next, take one open end of the tube and begin to pull/fold it up and around itself. You will still have a tube, but it will be doubled up. You want both open ends to meet each other at the top, and the bottom will have a folded end all around the tube of fabric. As you can see in the photo, your fabric tube will now be shorter, and only raw edges will be next to each other. You are almost done! 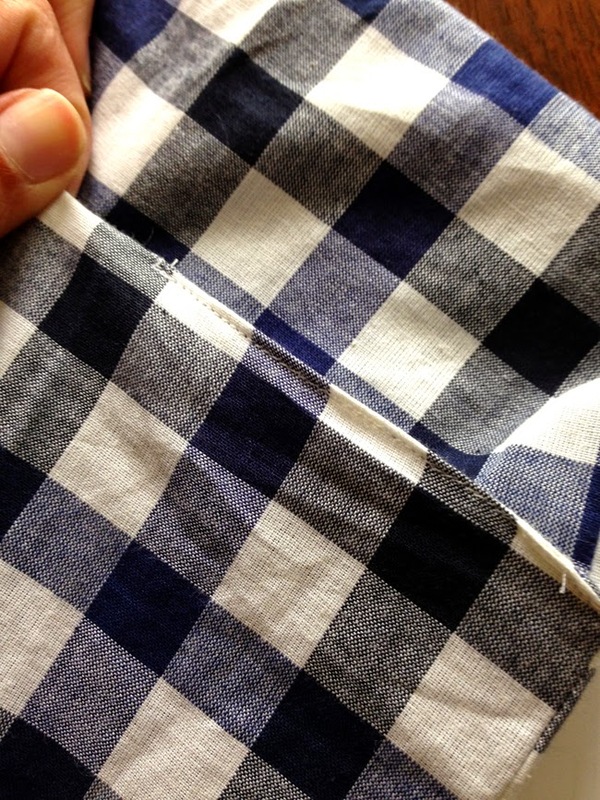 Match the original seam that you sewed on the inside of the scarf - both layers will have one. 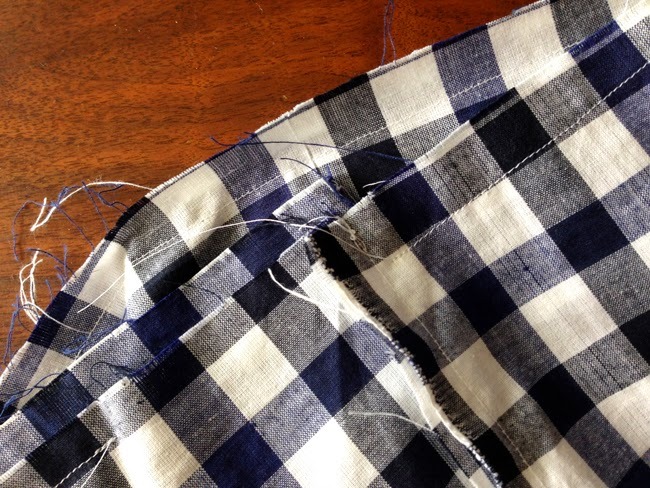 Once you have the seams matched, you will sew around the end of the tube that has the unfinished edges. Sew it closed except for about a 2 inch gap at the end. Leave that gap open. 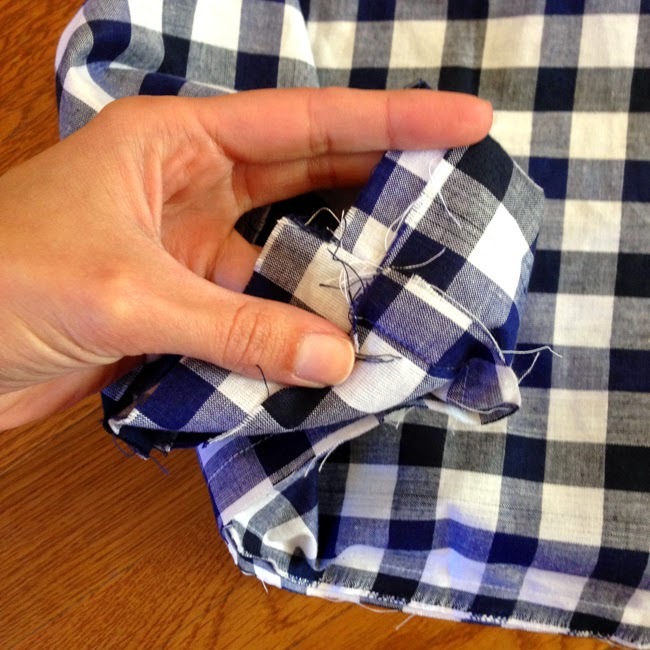 After you have sewn that seam, pull the entire scarf through the 2 inch gap. This takes some time and needs to be done carefully. You'll be left with what you see below. And that is it! 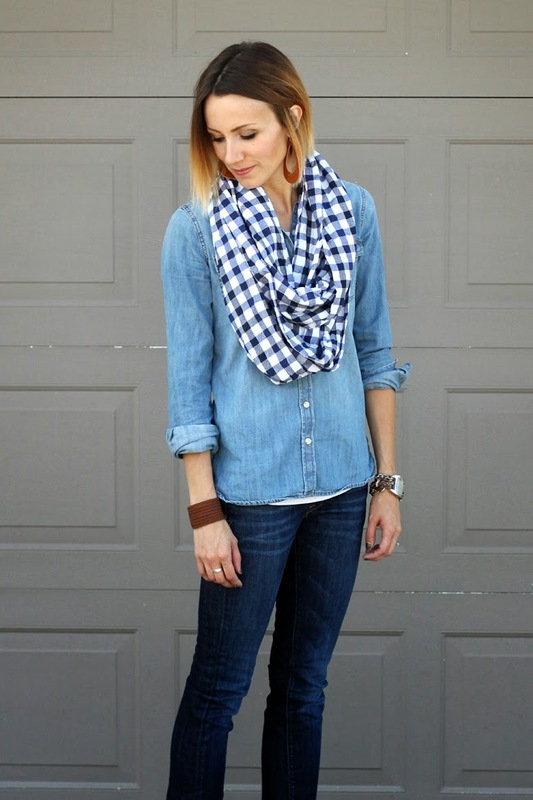 You have an oversized infinity scarf that you can loop two or even three times for an effortless fall accessory. 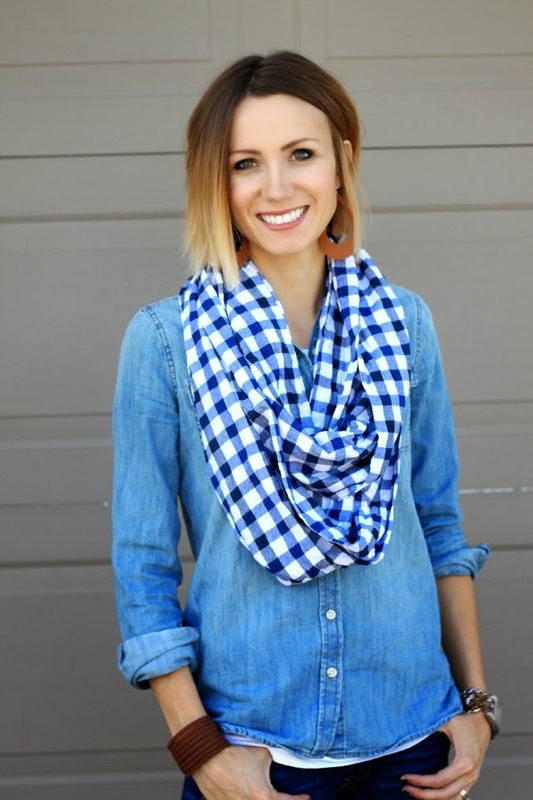 Are you an infinity scarf fan? Have you made one yet? So cute! I'm going to scale down the measurements and make one for my toddler! Where is your watch from? It's awesome! Thanks so much for the easy scarf pattern. I whipped up a scarf in about an hour and that included sewing a mock French seam as I was using a sheer fabric. After I was finished, I realized I could have probably skipped that part of the project as the seams do not really show.